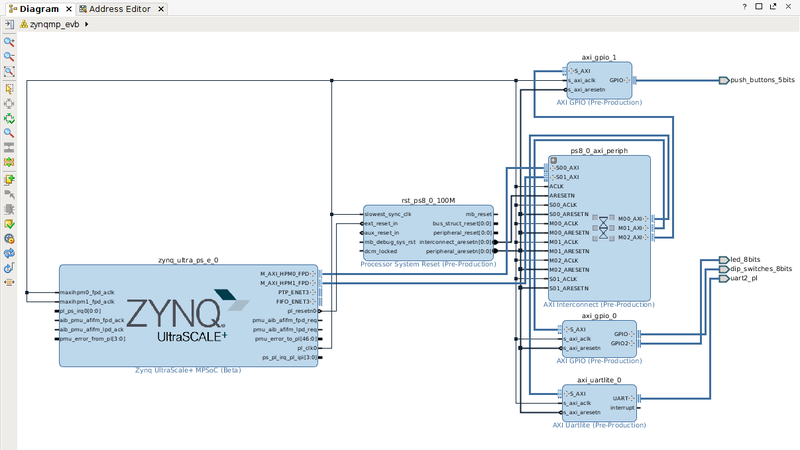 In this first article about the Xilinx Zynq MPSoC we will see how to build and deploy a basic Yocto Linux image. After a while ARM trusted firmare, u-boot, Linux kernel, device tree and root file system will be ready in tmp/deploy/images/zcu102-zynqmp. Create a basic ZynqMP system in Vivado i.e. with just the GPIO controller for LEDs and push-buttons and an extra UART. Generate the bitstream. Once the bitstream generation has completed, export the hardware design and launch the SDK. From the Vivado SDK create an application named fsbl for the processor psu_cortexa53_0 using as hardware platform the one created in Vivado. 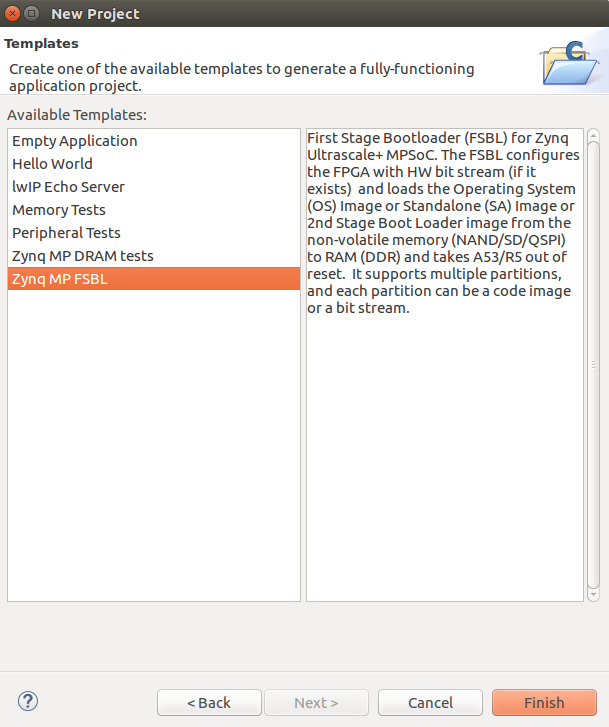 The template to be used is Zynq MP FSBL. Similarly create an application named pmufw for the PMU selecting psu_pmu_0 as target processor. There is only one template "ZynqMP PMU firmware". The VFAT partition should be bigger than 32M since the .bin file is quite big. For example 128M. Copy boot.bin, Image, system.dtb in the boot partition. Extract the root file system in the ROOT ext4 partition (as root). Umount the BOOT and ROOT partition. Connect a USB cable to J83 to a PC. Install USB-UART drivers if needed. Use a terminal emulation program i.e. Putty to connect to the serial port. Check with dmesg or device manager the name of the serial port. 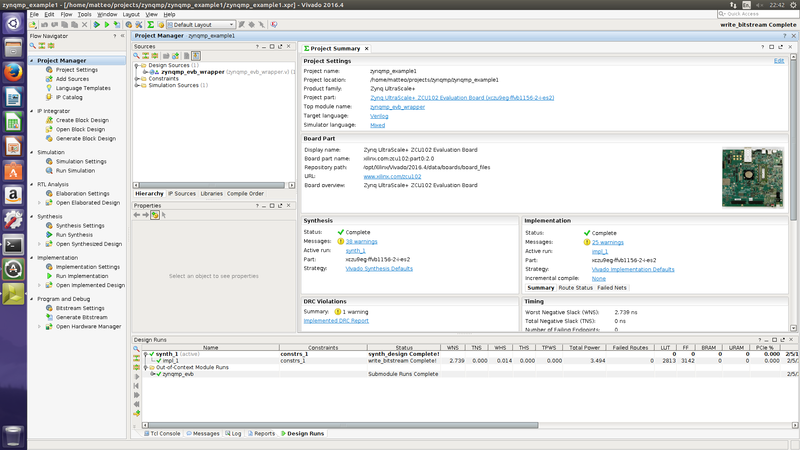 The configuration is 115200 8N1. 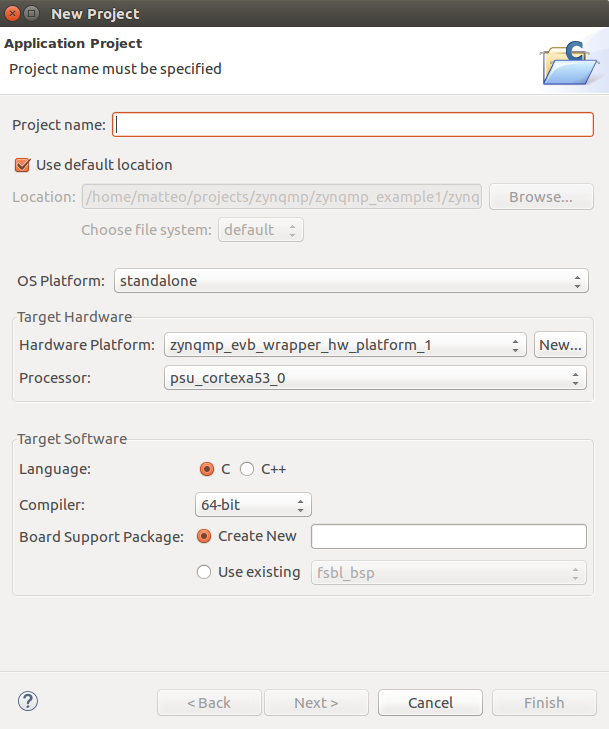 In this first article I have shown how to create and boot a Yocto Linux image on the Zynq MPSoC. In future articles we will see more advanced application like video input and output. Starware Design will be present at Embedded World 2017, Hall 3, Stand 555/C (part of the Great Britain stand). If you are interested to know more in the design services provided by Starware Design get in touch.